12 Questions You Should Ask Yourself Before You Ever Start Looking at Houses! Taking that first step to buy your very first home can be scary and daunting. You want to find a home you will love but also afford. In our new four-part “how-to” series for first time buyers, you’ll learn what to do every step of the way and how to incorporate our strategies with your own to find a home that is “perfect” for your budget and your lifestyle. Week 1 – How to brainstorm and evaluate your wants and needs for a home and the decisions that follow. Week 2— How to use our smart, easy tactics for house hunting. Week 3— How to finance and budget your first home purchase. 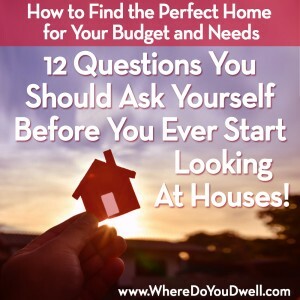 12 Questions to Ask Yourself Before You Ever Start Looking at Homes! Even if you’re an open house junkie or binge watch HGTV house hunting shows, you might not know what to do first when it comes time to buy YOUR own home. Surprisingly, we tell our clients to not start looking around at homes immediately! Why? Because we want clients like you to look “under your hood” so-to-speak and ask yourself some very important questions first. We want you to define and picture the life you want to live and a home that will match it. Most agents don’t approach home buying this way but we do. This “self-analysis” will dig deeper than “how much square footage would you like?” Your honest and revealing answers will lead you to the right home purchase — for you, for your lifestyle and for your budget. Please don’t think that this brainstorming and inner exploration is something to scoff at … just ask our previous clients. It worked for them and it will for you! Your answers to these questions below will help you avoid a personal and financial disaster when it comes to real estate. And, we promise that if you slow down and think, plan and evaluate YOUR life and what you want in a home and WHY, the entire rest of your home buying experience will be much more fun and rewarding. You’ll actually get everything you want … and maybe even things you didn’t think you could have (or didn’t think about before)! 1) How long do you plan to live in this first home (and how long will you own this home if you plan on renting it out after you move out)? This is THE absolute most important question to answer honestly since it will affect the rest of your home buying search. You must answer this question first before you continue to the others. 2) What will your life look like during that timeframe? Answering this question will help you determine what purpose your home will serve, most specifically your wants and needs at that stage of your life. Plus, you’ll determine what your #1 driver (or reason) for buying a home now and for that time period. 3) What about your current daily life do you love and are not willing to give up? For example, do you love being able to walk to work? Do you love going to your local coffee house every day and enjoy local conveniences? Do you like to go for runs outside or hit the gym instead? What is your actual reality day-to-day? 4) Are you more of a “homebody” or more of a “night-out-on-the-town” kind of person? Knowing the answer to this question will help you determine how much space you need. If you never have people over, then why have a huge space for that dining table you never use? But, if you rather cook dinner for friends than bar hop, then don’t give up your dream of having enough room to make this desire a reality. 5) Do you work late and need to be close to the office with a quick, easy commute? This question will help you determine location as well as things like whether you need a dedicated parking spot. Or, maybe you love biking to work every morning, but don’t want to have your bike in your living room anymore. Then looking for bike storage in a building that’s easy to get in and out of every day, twice a day will be important to you. 6) What are your personal and financial goals during the timeframe you are going to be living in this new home? For example, do you plan to change jobs at some point so that your finances may change – a possible increase or decrease in salary? You don’t want to have a mortgage that binds you to your current job, especially if your goal is to switch to a less stressful work life while living there. 7) What are your hobbies and how will they impact your life while you live in this home? Confused? For example, would you prefer to live in a less expensive, possibly smaller home so you have the funds to travel the world or even for a favorite hobby … (think scuba diving, travel photography, etc.)? Or, do you want to live close to an important outside interest (think horseback riding, sailing, ballroom dancing, etc.)? Or, do you want space for your hobbies (think painting with canvases and easel, crafting supplies, or refurbishing antiquing finds, etc.)? 8) Do you consider yourself a “location person” or a “house person”? SO important! Some people get more excited about the local amenities than the features inside their home? Usually people tend to be more one than the other. Which are you? What do you tend to gravitate toward? 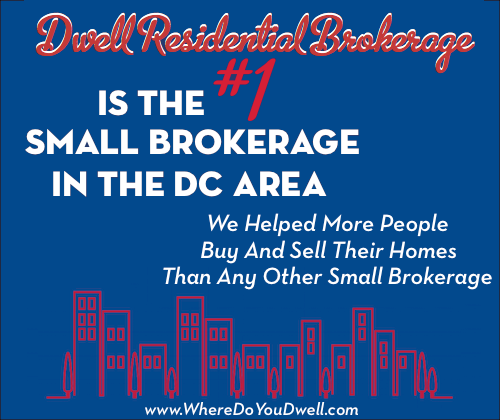 For example, would you rather be near urban conveniences, lots of quiet green space, or a wider number of school choices? Then location could be more important to you. If so, many locations have distinct personalities and you want to find one that works for you. Keep in mind that certain locations will feature only certain types of homes to buy – condo apartment, row house, townhome, or single-family home. On the other hand, if having lots of inside space, an awesome chef’s kitchen, and a Jacuzzi bathtub gets you all excited rather than any particular neighborhood, than you are more of a house person. 9) Are schools in the neighborhood a factor for this home purchase? Check out our Bonus Section on “Buying for Schools” for more details. Even if you don’t plan to have children soon, take a look at this section below. 10) What about your current home would you like to change or be different in your next home? What is the absolute most important, can’t-live-without it, deal breaker thing you MUST have? (We all have one.) Do you really, really want that master bedroom suite or that large eat-in kitchen? What about parking space? Or live near metro? 11) Describe your ideal scenario when it comes to your home purchase and why. This is the time to dream BIG! After asking yourself all the questions above, now’s the time to take your brainstorm to paper. Get out a piece of paper and write down everything you could possibly have if you could have it all (within reason) in your next perfect home. Don’t hold back! Write down things you might think are out of reach. 12) What would you be willing to you compromise on in a home? It’s hard to start with what you are willing to give up, but after listing out all the things you DO want from the questions above (and don’t hold back on this part—list everything!) Circle three things you could possibly live without on that list. Even if you aren’t planning on having kids any time soon or ever, living in a neighborhood with excellent schools can be beneficial to homeowners. For those of you with growing families or hoping to start one in the near future, “moving for schools” will dictate the location of you next home. That’s why if it’s your #1 driver now or down the road, this bonus section is a must-read. Agents can’t give their opinion. Keep in mind, your real estate agent can’t offer any opinions on the quality of the schools or school districts because of fair housing laws. So don’t get frustrated with our agents when you ask about schools! You will have to do the leg work on researching schools and school districts. A good resource to start learning about schools is www.greatschools.org. Also talk to neighbors and friends, visit schools, and look at test scores, graduation rates, and teacher-to-student ratios. And, keep in mind, what you may deem as “good” may be slightly different from another family. Some families seek out smaller schools, more diverse schools, public or private schools. You know what’s best for your kids. Learn more about all the school options available in certain areas. It’s not always clear-cut when looking at public school districts. There may be “special” schools your kids might go to, such magnet schools or charter schools. There could be “special choice” school zones that you didn’t know about initially that could change your entire housing search. Don’t rule out private or religious-based schools either. Really get to know how the schools work in the general area you are looking in before you buy. Our clients are often surprised that there are more options than meets the eye at first. This can really be a game changer when it comes to your home-buying decision making. A good school district brings added benefits to homeowners. Usually it means your home can retain its value, it’s most likely located in a stable neighborhood, and it will be attractive to other buyers when it comes time to sell it. Those are all major pluses in addition to your children getting a good education! Expect to pay a higher price tag for some school districts. Typically, a better school district means higher home prices (and possibly higher property taxes). So keep in mind the cost to move into a neighborhood with schools that have a good reputation. If you’re facing a higher price tag, then you may have to seek out other financing or adjust your criteria (i.e., living in smaller house or on a busy road). But, on the other hand, you’ll likely have an easier time selling this more expensive home when it’s time. Is it worth the extra expense now or for the next X years? You decide. Don’t forget to confirm school boundary lines. When looking at homes, always ask your agent or call the school administration yourself to find out what school your child will attend. Always verify this information since it’s not always obvious or could be listed incorrectly by the seller. It’s not unusual that the school closest to your home may not be your school. Boundary lines do change from time to time … So always double check! Congrats on answering all of these questions and hopefully it sparked some additional self-analysis that will help you find that perfect home! Next week, we’ll take your answers and apply them to house hunting. It can be the fun part of buying a home but you still want to be savvy and prepared. Jennifer was great to work with for us as first time homebuyers. In such an emotional and stressful process, she really makes it as easy as possible to find and purchase the right home for you.